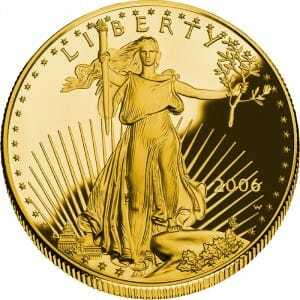 Proof American Eagle gold and silver coins are the limited-edition version of bullion coins of the same name. With strict caps on the quantity that can be struck each year, these coins are in scarce supply. Therefore they hold additional value over bullion in that their price is not just set based on their gold or silver content, but also market supply and demand. 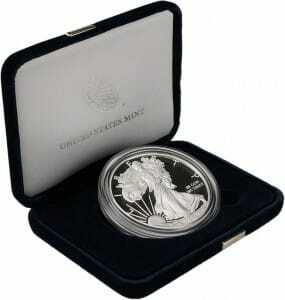 Proof American Eagles are the only limited-edition coins approved for ownership in a Precious Metals IRA. The U.S. Mint limits its production of proof gold coins each year, and once that supply has been exhausted, they are only available on the secondary market. However, there is no guarantee how many coins the Mint will produce in any given year – if any at all. For example, when demand for bullion soared in 2009, the Mint did not create any proof coins, instead allotting its entire supply of gold and silver to bullion American Eagles. Even in years when the Mint makes proof gold coins, however, the production run stands in stark contrast to that of their bullion counterparts. 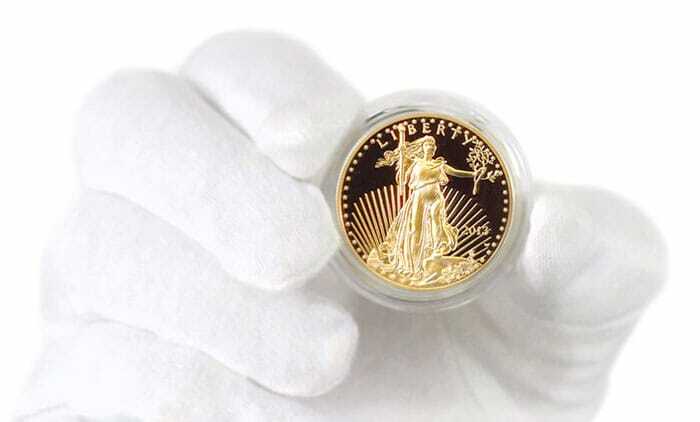 Take production quantities from 2012 as an example: While the Mint produced 675,000 one ounce gold bullion American Eagles, yet they only produced a mere 14,782 one ounce gold proof American Eagles. Proof American Eagles undergo a unique minting process that produces a coin with unparalleled beauty. Never touched by bare hands, it begins with gold and silver blanks being manually fed into a press that stamps each coin multiple times with special dies that are constantly rinsed to ensure a pure impression. The coins emerge with a polished, mirror-like finish, and are carefully inspected to ensure they have no blemishes. Finally, they are encapsulated in plastic and put into their own beautiful velvet case with a Certificate of Authenticity from the U.S. Mint, which guarantees the coin’s content, weight and purity. 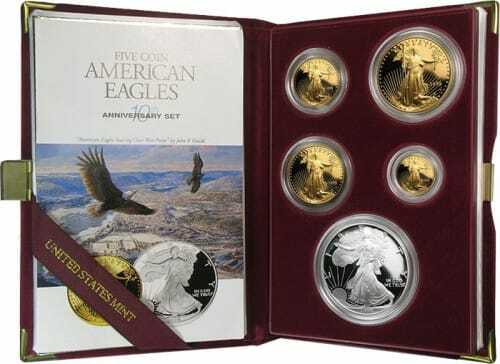 Proof American Eagles are the only limited-edition coins that can be placed into a Precious Metals IRA. Gold proof coins are available in denominations of one ounce, a half ounce, a quarter ounce and a tenth of an ounce, and silver proofs are available as a one ounce coin, so you can easily fill your Precious Metals IRA with a variety of these coins. What selection of gold and silver is right for your Precious Metals IRA? The most prudent approach depends on you, and your individual needs, objectives and goals. When the time comes to select which metals to place in your IRA, your Precious Metals Specialist will consult with you to put together an allocation that’s best suited for you.